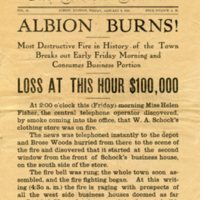 Albion Journal Newspaper article, "Albion Burns! : Most Destructive Fire in History of the Town Breaks out Early Friday Morning and Consumes Business Portion." 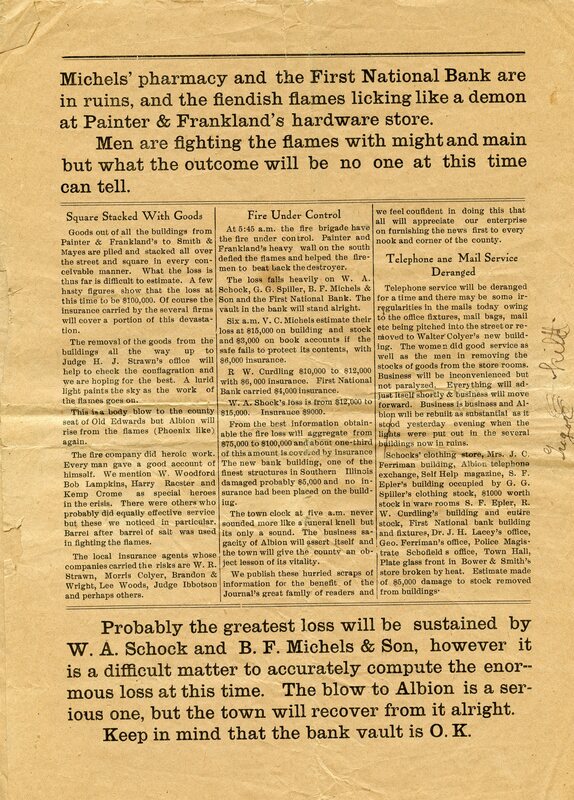 A newspaper article from the Albion Journal detailing a large fire happening within the town. The article is written at 4:30 AM while the fire is still taking place. At the time of writing, it was the biggest fire the town had seen with over $100,000 in damages. This item was acquired at the Fairhills Mall Antique Fair for $0.35 in 1983. Paper, 12 x 5 inches. 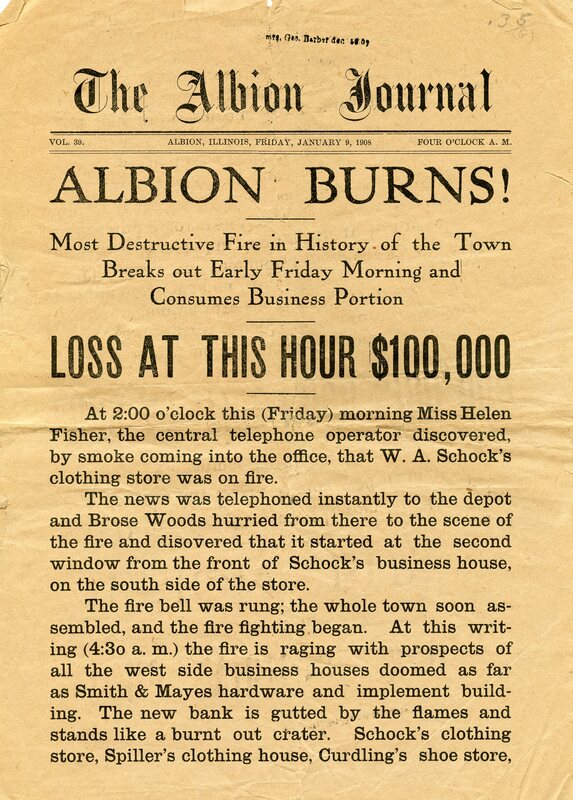 N/A, “Albion Journal Newspaper article, "Albion Burns! : Most Destructive Fire in History of the Town Breaks out Early Friday Morning and Consumes Business Portion. 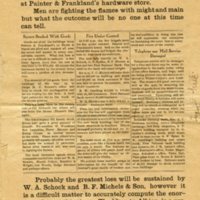 ",” UIS History Harvest, accessed April 25, 2019, https://uishistharv1.uis.edu/items/show/343.